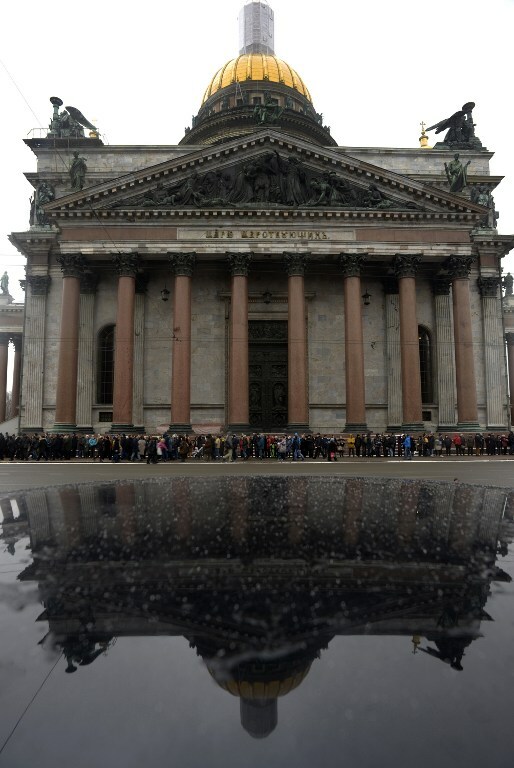 SAINT PETERSBURG, Russia — A pro-Kremlin Russian lawmaker came under fire Monday after saying the ancestors of local Jewish opposition figures in Saint-Petersburg “boiled Christians in cauldrons,” sparking indignation from Russia’s Jewish community. 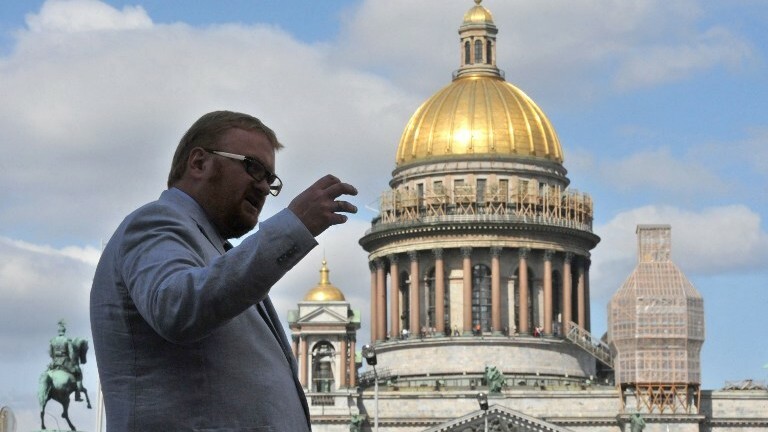 Vitaly Milonov, a Duma deputy known for his anti-gay initiatives, lashed out at the weekend at two local lawmakers leading a protest against handing over St. Isaac’s basilica, a top landmark in Russia’s second largest city, to the Russian Orthodox Church. “Christians survived despite the fact that the ancestors of Boris Vishnevsky and Maksim Reznik boiled us in cauldrons and fed us to animals,” ultra-conservative Milonov said at a rally Sunday to support the controversial handover. 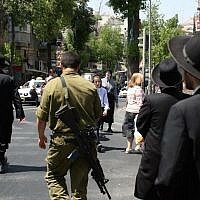 The statement triggered a storm of criticism, with another local lawmaker Alexei Kovalev petitioning for a criminal probe into possible incitement of hatred while prominent Jewish figures said it was shameful and could spark religious tensions. “For a State Duma deputy, it is unacceptable to make such irresponsible statements,” said the spokesman of Russia’s Federation of Jewish Communities (FEOR) Borukh Gorin. 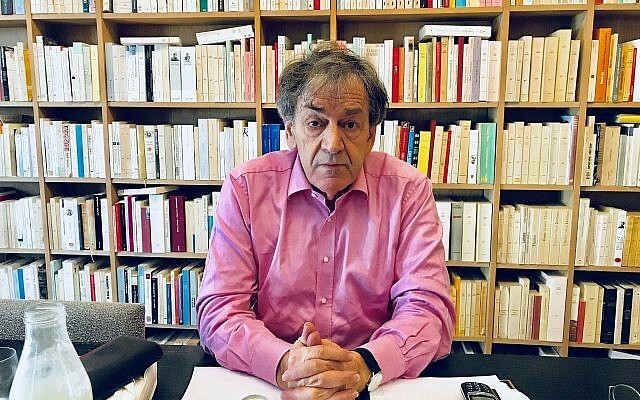 “Such a statement reeks of medieval obscurantism, discredits modern Russia, and is shameful of the party which he represents,” he told the Lekhaim Jewish magazine. Russian Jewish Congress president Yury Kaner told AFP: “It is clear to any normal person that these lawmakers are of Jewish descent and that he means Jews” by his statement. 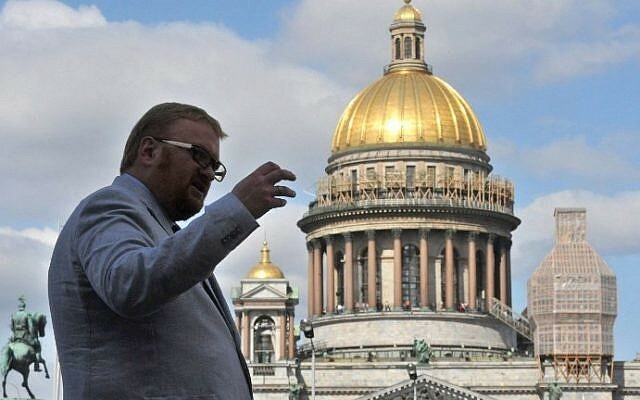 A fellow local lawmaker, Alexey Kovalev, officially appealed Monday to Russia’s investigative committee to launch a probe against Milonov. Milonov “committed actions inciting hatred” and “dishonored” the lawmakers, Kovalev said in his appeal, posted on his official Facebook page. He asked that Milonov’s statements be investigated under Russia’s anti-extremism law, which is widely used to prosecute opposition figures. Russia has a long history of anti-Semitism, with pogroms and settlement regulations in czarist times, as well as various limits on education and careers in the Soviet era. 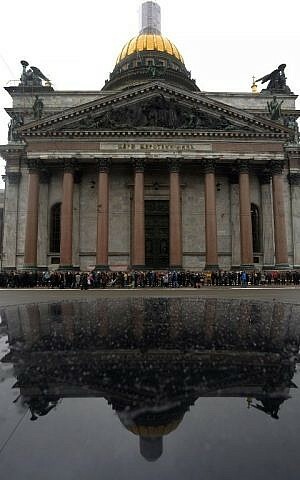 Last year, Russia emerged as the top country of origin among immigrants to Israel, with some 7,000 newcomers.